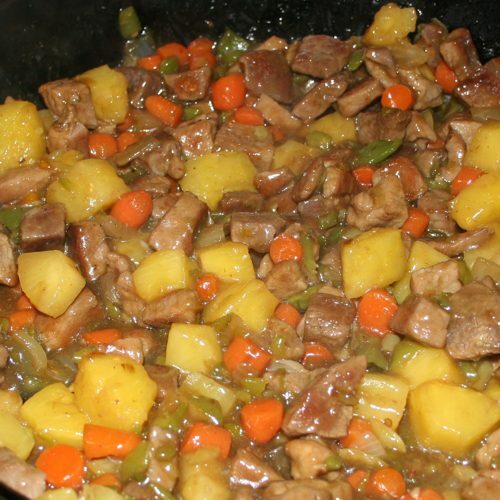 In a large skillet, brown 1 1/2 pounds boneless pork, cut into 1/2-inch cubes, in 1 tablespoon vegetable oil. Cover and simmer about 15 minutes. Cover and simmer about another 10 minutes. Stir into pork/vegetable mixture and cook until it thickens up nicely. Serve over hot cooked rice. Yum!! !